Herbal syrups are a great, quick way to make up herbal remedies that you are going to consume quickly – for example, something that you would take every day or something that you would take a lot of during at time of illness. Since I can’t make glycerine tinctures any longer due to a family allergy, I’ve gotten pretty good at syrups. The shelf-life of a syrup isn’t as long as a tincture so if you need a longer shelf life then go with a tincture. If it’s something that you will use up quickly then a syrup will fit the bill and probably be cheaper to make than the tincture. 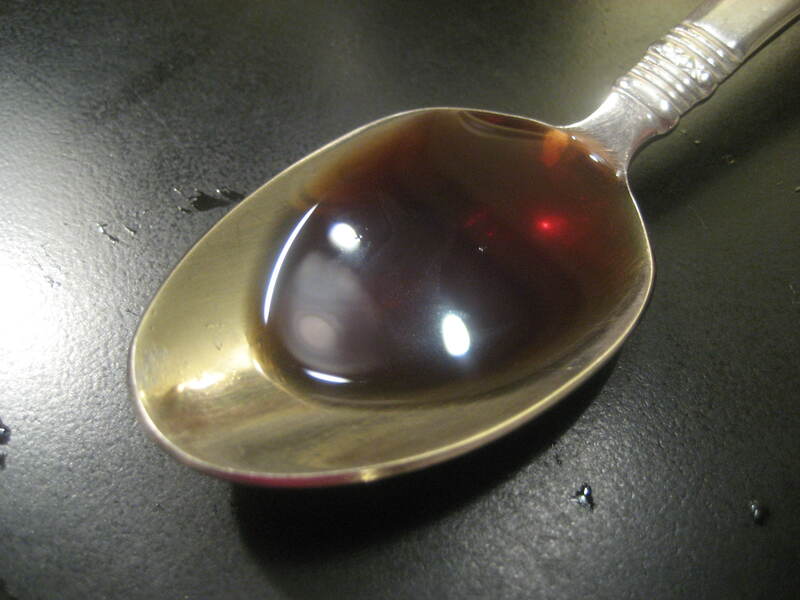 A syrup is basically a very strong tea that is sweetened with honey. Ready to get started? Here’s what you do…. Start with about 6 cups of water in a saucepan. Add in about 2 cups total of the herbs of your choice. (I use this method all the time for Well Drops and Cough and Cold Drops.) Simmer for about 20-30 minutes. Let the herbs sit. When cool strain off the herbs using a cheesecloth and squeeze out all the juice from the herbs. Pour the liquid back in the pan and add about 1/2 cup of honey (or more to taste). Turn the heat on and simmer again stirring to combine the honey. Reduce by half until the liquid measures 2-3 cups. Bottle in a sterilized glass jar (scald with hot water) and store in the fridge. These will probably last about 2 weeks in the fridge. You will know if they have gone bad by the taste. Traditional syrups should last about 6 months or more but these require adding much more honey (typically a 1:2 ratio of honey to liquid) than what is appealing to my palette. If you want your syrup to last longer add more honey to your mix and boil if for longer after you add the honey in. And here’s a helpful tip…. If you don’t think you’ll use your syrup up fast enough before it goes bad, freeze half of it and thaw it out when you’ve used up the first half. Stay well and syrup making!! This entry was posted in Articles, Health, Herbs, Remedies. Bookmark the permalink. Thanks for adding this recipe Rachel! I will use it for book club this Friday.